People have joked with me about my online presence, specifically Facebook. I will admit that I have spent too much time on this computer fluttering about in the virtual world while my real world begins to unravel. I am sure that I am not the only one. I wondered for awhile if I should just give it all up. Facebook, Twitter, and blogging. I really really did not want to do that and now I am glad that I have not. He, the great Orchestrater, is using it to change me; something in me is stirring. Months ago I began to read a blog called Inspired to Action. The author, Kat, had an e-book called Maximize Your Mornings. Oh yes, that “devotion” time we all talk about needing to do…someday. I downloaded it, printed it, put it in a purple binder, & filed it on my shelf. I probably read through it. Often it isn’t information I need, it’s the motivation to do it. Or rather, the choosing to do it. One day she announced a challenge. You could sign up & be listed in an accountability group. I decided to sign up, but then almost decided to not do it because with all the women signing up I felt like I got lost in the shuffle at first. I didn’t, God just knew which group I needed to be in & it hadn’t been created yet. I wasn’t sure what to think of it at first. A Twitter accountability group? How will that really work? Will I be noticed, remembered, loved? That’s always the question, isn’t it? I want to be known. Don’t we all want to be known even if it’s scary? So, I’ve signed up and made the commitment to roll out of bed early each morning turning my heart toward God. First couple of days are awesome. I’m thinkin’, “Yep. I can do this.” Then I get a whopper of a migraine, then the flu, then another migraine, then a horrible cold/flu that has me in bed for the second week in a row, then yet another migraine. One day I got fed up with it and decided I was getting up NO MATTER WHAT. After that I had sleeping problems and I complained a lot on Twitter. I was having children problems and feeling worn out. Then I was astounded. My new Twitter friend gave my $15 to spend at Amazon. I was giddy over my purchase of Living Lent and Ann Voskamp’s “One Thousand Gifts”. Oh my, Lent & Eucharist. That’s a whole other post. I am blessed. I have been encouraged. Won’t you join us? Get on Twitter; you can find all of us by searching #hellommornings. Like it? Do me a favor and share it, please. Thanks! 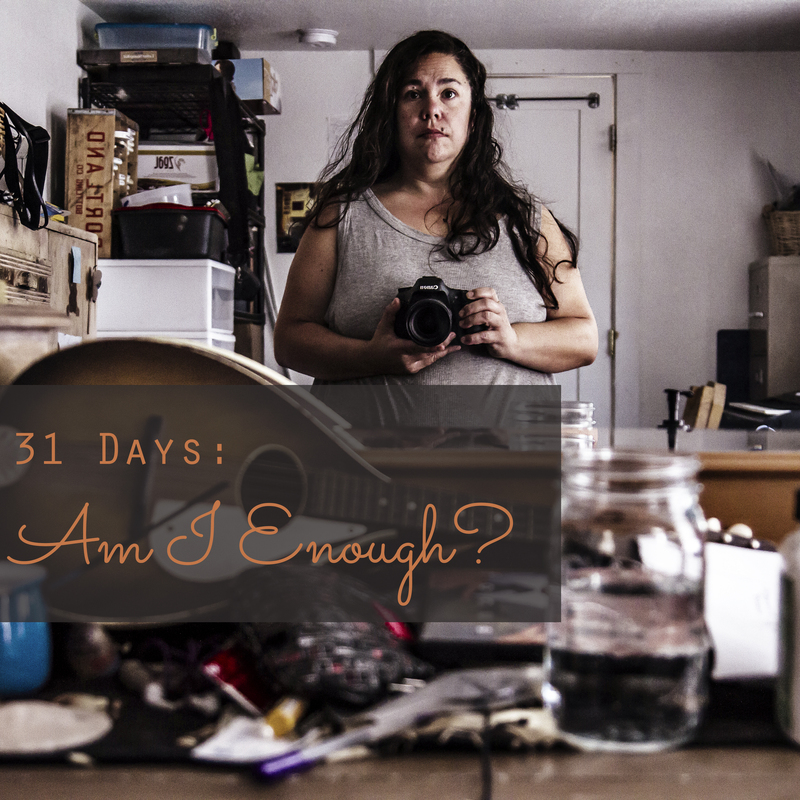 31 Days: Am I enough?